Super Cash for Houses is Dallas/Fort Worth’s premier property buyers. We buy houses in any condition, as-is, at a fair price. If you are looking to sell your property, give us a call at (214) 908-1164 or click here to contact us. At Super Cash for Houses, we pay all closing costs and will normally close in 10 days or less with no hidden fees or commissions. 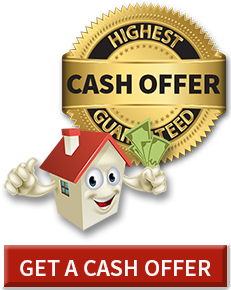 Selling your Dallas home quick is easy with Super Cash for Houses. Click here to send us a message or call (214) 908-1164 to speak to a representative. Se habla espanol. We buy properties in any condition, as-is!! Don’t worry if your house is in need of repairs, has fire damage, if you are going through a divorce, is an estate, or you owe back taxes. Super Cash for Houses is here to help!! A Super Cash for House representative will visit your property and perform an inspection to determine the value and condition of your property. If your property is in need of repair or is full of clutter, Super Cash for Houses will purchase the property as-is, doing any needed repairs or clean out for you. We will also remove tenants if needed. 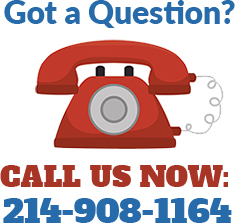 Give us a call at (214) 908-1164 or click here to send us a message. After determining the value of your property and the needed repairs, Super Cash for Houses will make you a fair cash offer. Super Cash for House has over 50 years of experience and will assist you throughout the process of selling your home quickly. If you accept the purchase offer, a Super Cash for Houses representative will complete the purchase contract, go over it with you and answer any questions you may have, and give you a copy of the contract. Super Cash for Houses pays all closing costs. There are no hidden fees or commissions. Give us a call at (214) 908-1164 or click here to send us a message. STEP 5. Close and get your cash!! Super Cash for Houses can typically close in 10 days and put cash in your pocket. We will handle any problems that arise during escrow. If you do not live in the DFW area, our title company will assist you in closing the sale in your current location. You will not have to travel to sell your property.